I love the history of the School (formerly Institute) of Government. 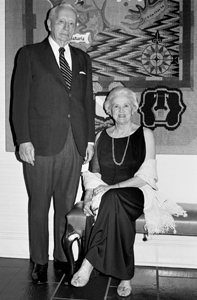 It is the story of two visionaries—Albert and Gladys Coates—who dedicated their lives to the Institute’s creation and development. It is the story of their perseverance in overcoming skepticism and resistance. It is the story of clearing difficult hurdles, including the Great Depression. And it is the story of colleagues who joined together and sacrificed with them to build an institution that has made a significant difference for North Carolina. Our history is great, but I’m even more excited and optimistic about the School’s future. The mission has not changed, but how it is carried out has changed over the years, and it will continue to change. It is supposed to be that way. Mr. Coates was the ultimate change agent and he would embrace the School’s evolution. He would recognize the dedication of our current faculty and staff, who are just as committed as the pioneers who worked with him during the early days. Your commitment to public service and North Carolina is inspiring. I’m also thankful for the culture of the School. Our colleagues—faculty and staff—are generous in supporting one another—helping not only with professional challenges, but also with personal bumps in the road. It is a culture of collaboration too. We collaborate with each other, and we also have strong partnerships with outside organizations—like the Administrative Office of the Courts—that are essential to advancing our mission. 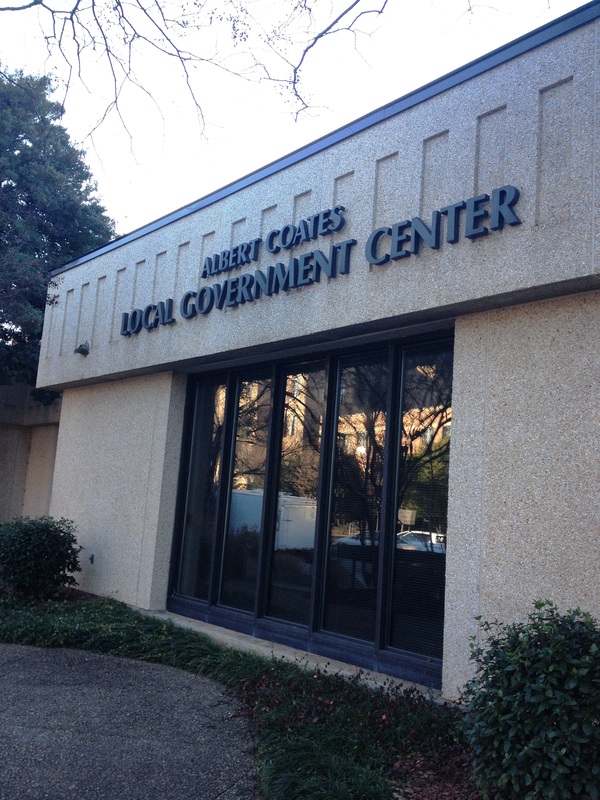 It is perfect symbolism that the League of Municipalities and the Association of County Commissioners are located in the Albert Coates Local Government Center. Enjoy the holiday season with your families and friends, and also take a moment to reflect on our good fortune as colleagues. We are connected to a proud tradition. We also have the opportunity to work with good people in a good cause that makes a positive difference every day. Thanks to all of my colleagues for your good work in 2013, and I can’t wait to see what you do in 2014. What a wonderful essay! 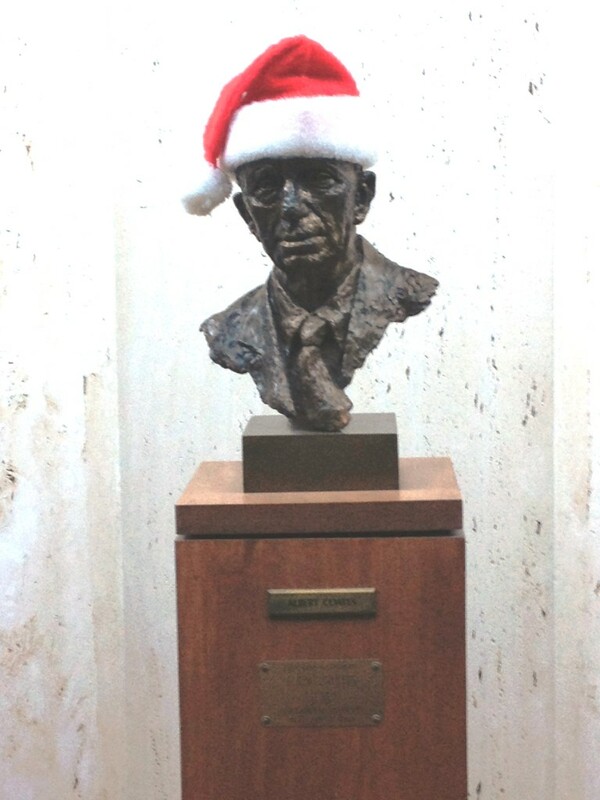 May you, our colleagues, and all our families and friends have a most blessed and peaceful holiday season! Thanks for the memory. Working at the Institute in the 50’s and 60’s was a great experience. Every day at work was an adventure and excitement. I do remember that Mr. Coates would often call after 4 pm and ask that, “… come by my office on your way home”. This meant that you had to call home and put on hold dinner and evening plans. He was at his best in these evening (at the least one hour) meetings. Neal Forney 56-63. Thanks for sharing, Neal. I’ve heard similar stories over the years. Mr. Coates was a man on a mission. All the best.